The cost seems to skyrocket at the slightest change in circumstances. In this article, we will detail some of the factors that can influence how much your move will cost you. These include the distance of your move (local or long-distance), how many belongings you have, the time of year, what kind of city you are moving from and to, the overall quality of the moving company, and whether you need insurance. Throughout each category, we will use examples of moves to help put the theory of how each factor affects the dollar value associated with a move. Being aware of all of these factors when you are planning your move will help you ensure that you are moved safely to your new home without leaving you completely out of pocket when you get there. What is the price of moving in the USA (California, New York, Texas…)? The first factor that affects the price of your move is the distance and type of move that you are attempting to undergo. There are two main categories of moves: local moves and inter-state moves. Each type of move is more expensive than the last. We will deal with each type of move in turn. Some companies may define it by distance, such as 100 miles being the cut-off for local moves as opposed to long-distance (or inter-state) moves. Others may use the crossing of state lines as a determining factor. Examples of this type of move include opening a new store in your hometown and moving the supplies from your home, relocating an office to a new, nearby facility, or even moving house to a better neighbourhood within the same city. As these moves are generally the shortest distance, this type of move is most often the cheapest, with everything else remaining the same. This is because these moves can generally be handled within one day, so you will only pay to rent the equipment and vehicles and pay the staff for a relatively short period of time. Whatever other factors that the particular moving company deems relevant, your move becomes a long-distance (or inter-state) movement. With the additional distance come additional administrative costs for the moving company, all of which are passed on to you, the user of their moving service. In order for a moving company to cross state lines, they have to complete additional registrations to ensure that they are reliable enough to conduct such moves. With these additional registrations come additional fees. Above and beyond these, long-distance moves generally require utilizing the company’s equipment, staff, and vehicles for a longer period of time. As you are engaging with the company on an hourly or daily rate, the longer you need the company for, the more money you will need to pay. The difference between moving intrastate (both the departure and arrival points within the same state) and interstate (the departure point and the arrival point in different states) is significant. Using a benchmark of a moving weight of 7100 pounds (an approximation of the average contents of a small 2-bedroom home), a distance of 1200 miles, and a moving crew of four people, the American Moving & Storage Association (AMSA) were able to determine the average cost of intrastate and interstate moves respectively. They found that the average intrastate move cost $1170. The average interstate move, on the other hand, cost $5650. In 2014, Angie’s List conducted a similar investigation (sadly, no details of their benchmarks were given). They found that the average intrastate move cost $2211, and the average interstate move cost $6402. This means that the simple crossing of a state line adds between $3500 and $4000 onto the cost of your move. While your points of departure and arrival are not things that one can truly control simply to make the move cheaper, it is something that should be borne in mind when you are drawing up your moving plans nonetheless. The next major factor that affects the cost of your move is how many belongings need to be moved. Moving companies commonly measure this purely by the weight of your belongings. Whilst the majority of your belongings are small and may not be heavy, they all have to be moved, and their small masses add up. In addition to this, one cannot forget about any big items that will need to be moved. Items such as bed frames, pianos, large cupboards, safes, or large appliances will need multiple moving men to hoist them onto their truck, and will quickly add hundreds (or even thousands) or pounds onto the weight of your move. How much weight could truly be stored inside your house? Citytocitymoving.us provides estimates for particular types of homes. An average studio apartment typically contains 2000lbs worth of belongings. A one-bedroom apartment normally holds 3500lbs. A two-bedroom apartment, 5000lbs. The weight goes up slightly when one moves from an apartment to a house. A two-bedroom house normally contains 7500lbs worth, 2500lbs more than a comparable apartment. Each additional room onto a house adds approximately 5000lbs onto the weight of a move. This means that a three-bedroom house will come to 10 000lbs, a four-bedroom House 15 000lbs, a five-bedroom house (20,000lbs), et cetera. Each additional pound of things that need to be moved adds to a number of costs for the moving company. They will need to be packed into boxes, which costs money. A heavier load means that the moving vehicle will use more fuel during the journey, which costs money. If many items (and big items in particular) need to be moved, the moving company may need to hire more people, which costs money. Costhelper.com recently did approximations for how long it would take and how expensive it would be to conduct a local move. For a studio apartment (requiring two movers at $25 each per hour), it will take an average of 2-4 hours to load, transport and unload for a price of $100-$200. The same service for a two-bedroom apartment with three movers will take 4-6 hours and cost $300-$450. A three-bedroom house using four movers, who load, transport and unload, takes $600-$900 and takes about 6-9 hours. A larger home will take six or more movers 8-12 hours and is priced around $1,200-$1,800. While transportation time is included in these estimates, it is important to note the additional time, number of movers, and money that it takes to complete a move as the size of your house and, consequently, the amount that needs to be move, increases. These increases are also shown across long-distance moves. Costhelper.com similarly estimated the cost of moving homes of various sizes from Washington, DC to Los Angeles, California. For a one-bedroom apartment averages $3,600-$5,000 for full service, which includes packing. The cost to move a two-bedroom apartment is about $5,100-$6,400. A three-bedroom house averages $9,000-$11,600. As you can see, in both local and long-distance moves, the size of your house and how much you take with you can add hundreds, even thousands of dollars onto your moving bill. As a result, be aware of what truly needs to follow you when you move. The less you take with you, the less that needs to be paid for on moving day. Whilst homes of a particular size may tend to contain particular weights of belongings and furnishings, there are ways to reduce how much you take with you. Consider going through your clothes, small items, and belongings in general, and donating anything you no longer use to charity. You could even hold a garage sale. These small considerations made before moving day could help speed the moving process up and lessen its cost. The next important factor when determining the cost of a move is timing. The first factor in timing is the time of the year. In the United States, there is a large increase in moving during the summer. This is due to a number of reasons. The majority of students and children are on holiday, which makes planning a move easier because the children will not have school. In summer, students will move to college for the first time. People in the workforce may end contracts in summer to give them a summer vacation before moving to their new job at the end of summer. Consequently, summer is the most popular moving season. 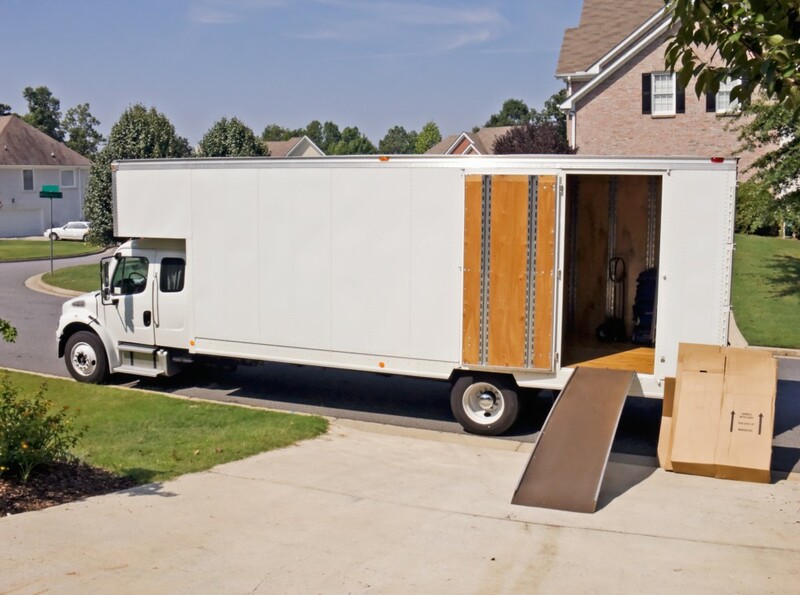 With the increase in demand for movers in summer, movers charge higher rates during June, July, and August in order to account for any jobs that they may have to turn down in order to accommodate your move. They also do so because as demand goes up, suppliers can charge more and increase their profit margins through no extra effort. How the company adds on to your charge varies from company to company. Some may add a flat ‘summer tariff’. Others increase their prices by up to 25 percent during this busy season. If at all possible, avoid moving during the summer time, and you will enjoy significant savings. In the smaller scale than the seasons, but no less impactful, is the time of the month that you may move. Movers are busier at the beginning and end of each month, as people move when their leases run out in a particular living space. While not as drastic as the difference between summer and the rest of the year, movers will be slightly more expensive at the beginning and end of each month, due to the increased demand once again. If possible, move during the middle of the month, and you will notice the difference in price. The next factor that can influence the cost of your move is the type of cities that you are moving from and to. In densely populated, sprawling cities such as San Francisco, Dallas, Los Angeles, New York City, or Jacksonville, you may pay up to $20 extra per hour per moving personnel than you would in a small town. Whilst it is not really possible to control where you are moving from and to, it is important to be aware of this extra cost in more built-up areas. The penultimate factor that could affect your move is the overall quality of the moving company. Higher-quality, more well-reputed moving companies tend to charge higher rates than small operations, simply because their names are well-known for reliability and quality of service. These companies are also more likely to offer all-inclusive packages (including boxing and un-boxing) as standard, which raise the cost of a move. If a mover requires you to or allows you to choose to pack the boxes yourself, this will lower their costs and, consequently, yours. Whilst low-cost movers may be tempting, it is important to be wary that they are not illegal operations looking to scam you. Sometimes paying a little more for a well-known name brand is prudent. Finally, package insurance will add on to the cost of your move. 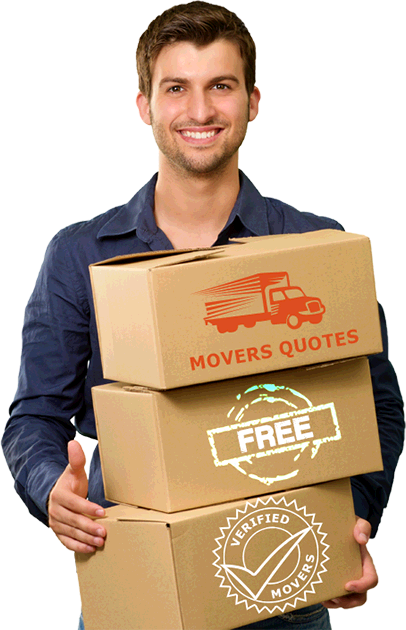 You are trusting the movers with the entirety of your home. Sometimes, you want to have a back-up, just in case something goes wrong. Insurance can provide welcome peace of mind, but it will also add on to your moving bill. The insurance policy varies between companies. Some charge a flat rate per pound, with approximately $0.60 per pound being an average fare. Others assess contents based on type, such as fragile, electronic, et cetera, and draw up a more personalised insurance package. Whatever the approach, insurance will make your move cost more. Whether it is worth it is your personal preference. move type and distance, the size of your home (and associated weight of your belongings), the time of year and month that you move in, what kind of cities you are moving from and to, the quality and reputation of your movers, and whether you need insurance are some of the more prominent ones. Be aware that not all of these are within your control. However, where you can reduce costs, it is in your best interests to do so. Most importantly, get everything in writing. If you have a clear, well-planned contract, you know exactly what you are getting yourself into, and will not run into any nasty surprises down the road. Happy moving!